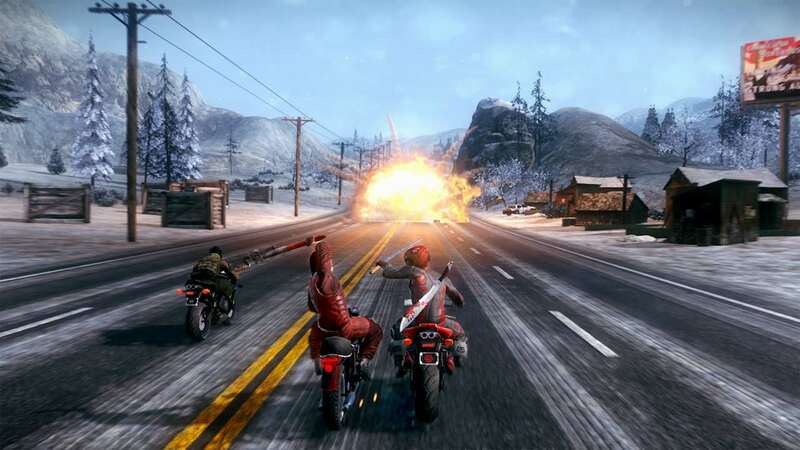 Tripwire Interactive has teamed up with EQ-Games and Pixel Dash Studios to release Road Redemption on Nintendo Switch, the multiplayer roguelike, action-combat racer. You will lead a biker gang on a road trip across the United States, earning money by completing races, assassinations, robberies and other challenges. With the loot that you collect, you will have the chance to upgrade your character, bike and weapons to become the ultimate road warrior. Whether in the single-player campaign, local split-screen co-op for up to four players or online multiplayer, you will have to use brutal weapons, grabs, kicks, counters and critical strikes to take out your rivals. Road Redemption will release on the Nintendo eShop for Nintendo Switch worldwide in Fall 2018.